In 1960, Steinbeck felt that he no longer intimately understood the country that he had been writing about for most of his life. Travels with Charley is his travelogue that came from his desire to see the country one last time before he died. 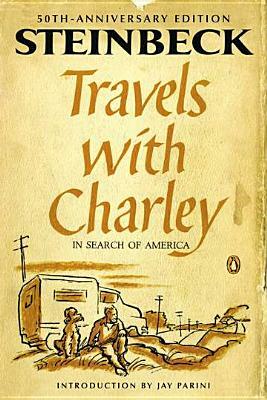 It's a rich perspective on America as only Steinbeck can tell it, as he travels via a camper named Rocinante and solely in the company of his delightful pet poodle, Charley. It's a jewel of a travel essay and a snapshot of the US at the time of JFK/Nixon, all told in that cut-to-the-quick-beauty prose that he has.